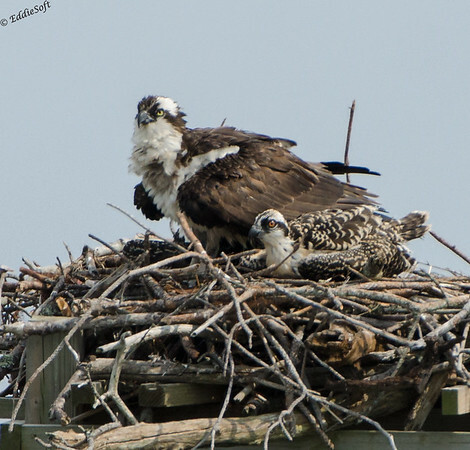 Last post you were introduced to a mother and chick Osprey that we were able to shoot on our North Carolina trip in July 2014. As luck would have it, we are still under a monsoon out here in the Midwest putting most of my planned outside work on hold, but still leaving plenty of worry as my 46′ free standing bridge over our creek is officially under water. Not a lot I can do about that right now, hell, I can’t even get to it as the end is currently sitting 20 feet out from the water’s edge! My fret is your gain allowing me extra time to crank out another bonus post. 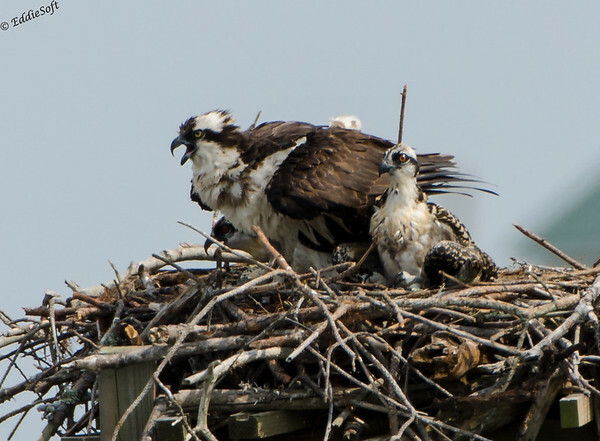 This shouldn’t be a surprise if you noticed the last post title had a clue – that was not the only mother and chick Osprey sighting we were able to witness in Tarheel country. We were checking out the various sites in the Outer Banks area when we spotted something interesting in the parking lot of a restaurant. 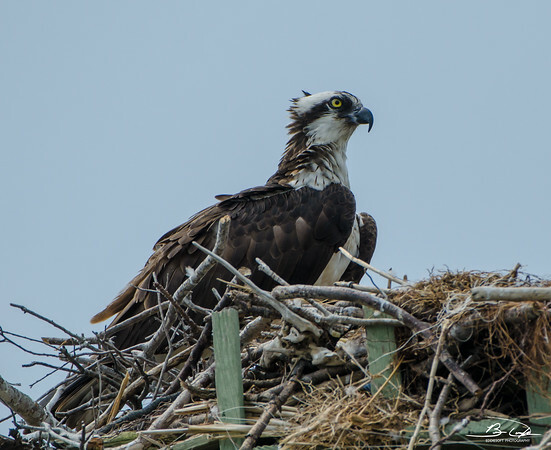 This eatery happened to sit on a water inlet and like the shots before, had a man made mast that had been claimed by another Osprey mother. 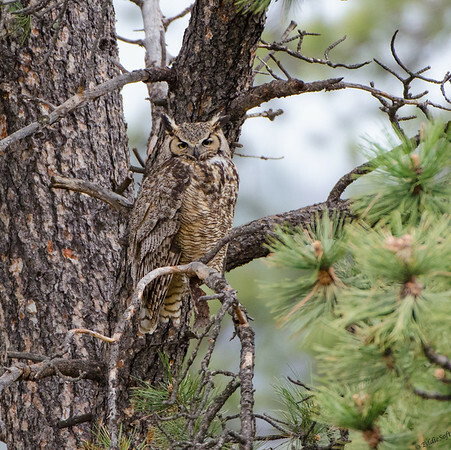 Hit the jump to see the rest of the shots from this second sighting – and there’s a surprise! Welcome to Blog Bonus Time everyone! Now that my mandatory post quota has been officially met, I can focus on burning down some of my backlog. 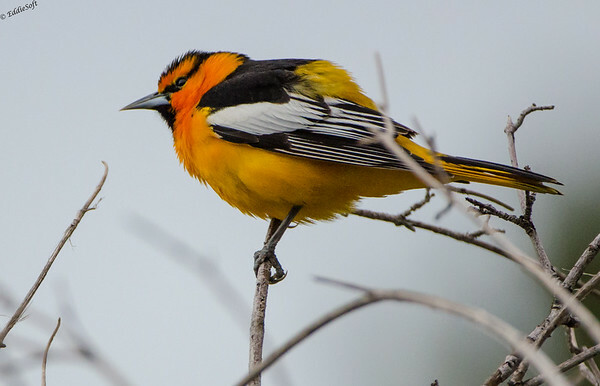 This is typically when I release post of birds that have already made their way on the blog – usually not as exciting as when I get to show off a new entry on my Birding List, however, there is always the chance I’ve been able to improve on images previously captured in the tin or even some new element that makes the repeat visit interesting as well. The latter is exactly the case in this particular post. For the non-birders out there, that is an Osprey. A female Osprey to be more exact. These skilled hunters have been featured a few times on the blog already – link here, here and here. Before I go any further, let me just apologize for some really poor pictures on that last link from Yellowstone. Those Osprey shots were done from a less than ideal distance and could have used a lot more light. One advantage of having a photography related blog is you have the opportunity to look back at your body of work and be your own best critic. I think you will like these pictures much much better. 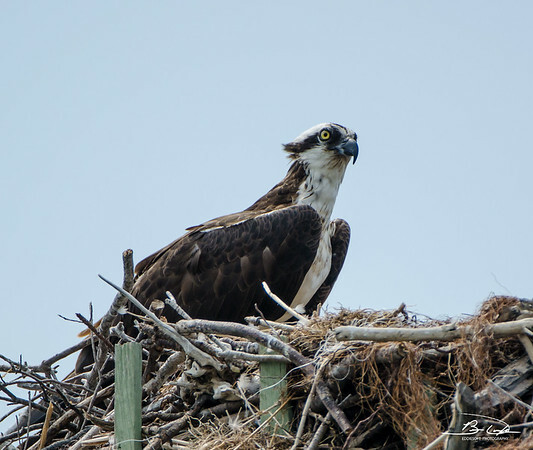 Hit the jump to read a bit more about this Osprey … and maybe a surprise! I can safely say my body, at the moment, hasn’t been this sore since exactly one year ago today. Ironically, it is really due to almost the exact same torture I put it through last year although this year was about 13.1 miles easier. Yep, this is my anniversary of completing the Illini Marathon over in Champaign. Like last year, I once again battled the running gods by accepting the I-Challenge, but Linda pretty much insisted I only did the half challenge – 5K Friday and then a half marathon Saturday morning. I’ll leave the rest of the details for a future post, but there are three more medals to add to my wall… and legs that once again are screaming at me. Since I’m sitting here waiting for the pain to subside, decided it would be a good time for a post so here goes. 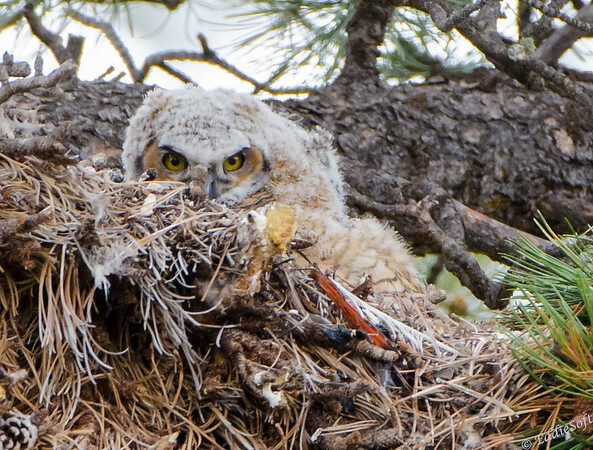 Well, this particular post shouldn’t be too much of a surprise if you happened to read my previous post on the Great Horned Owlets. 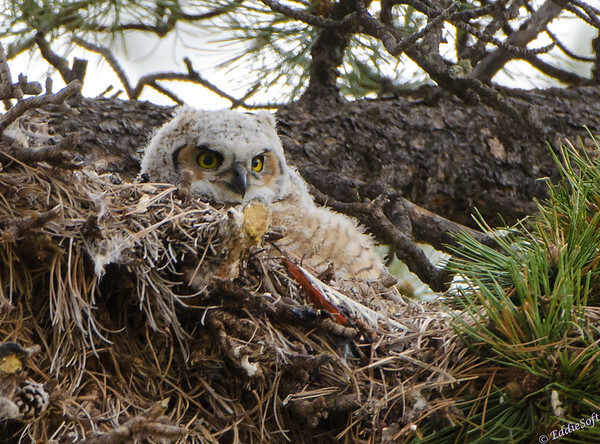 You probably already guessed, their mother wasn’t very far away. …. and you would be right! 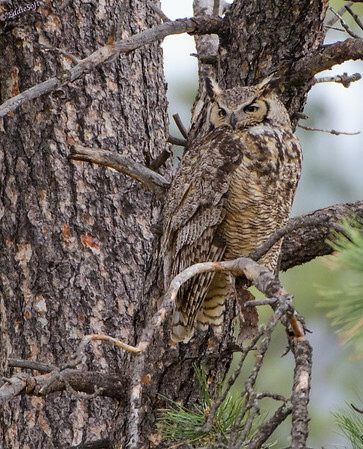 She was actually just on the other side of the tree trunk hanging out on a branch keeping a very close eye on any dangers that could threaten her cuties. She was pretty calm about the whole thing. Imagine a number of tourists driving up, pulling off to the side of the road, jumping out with all forms of cameras and then milling about under the very same tree her precious offspring are spending their days. Hit the jump to see a few more pictures of Mommy! Sticking with the featherless theme again for today’s post. 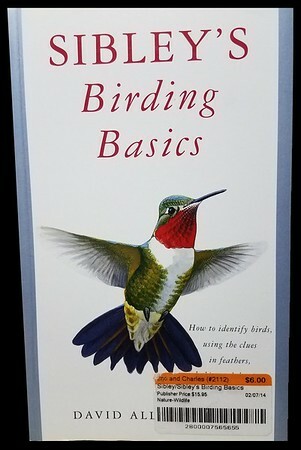 I try my best to be accommodating for my non-birder readers whenever I can. Having recently processed this set, figured there wasn’t a reason to let the chemicals dry before releasing them! Back in February of 2015, I had the opportunity to visit my parents in Springfield IL. The camera came with me in hopes of heading out to Washington Park to see what kind of ducks were hanging out in the ponds. If you recall, the last time I was there a number of Wood Ducks made their happy way into the tin. (link here). 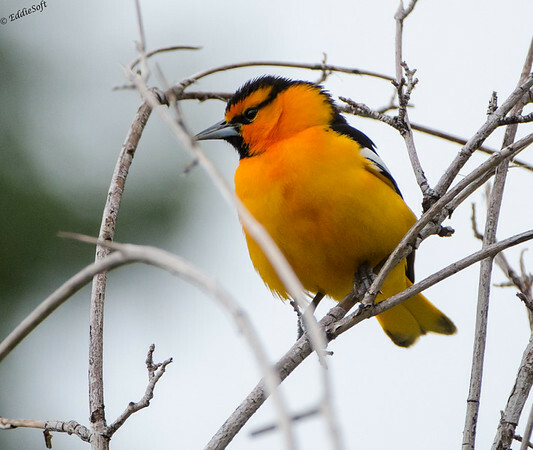 The Woodies were still there this trip, but a small bundle of fur ended up stealing the show. 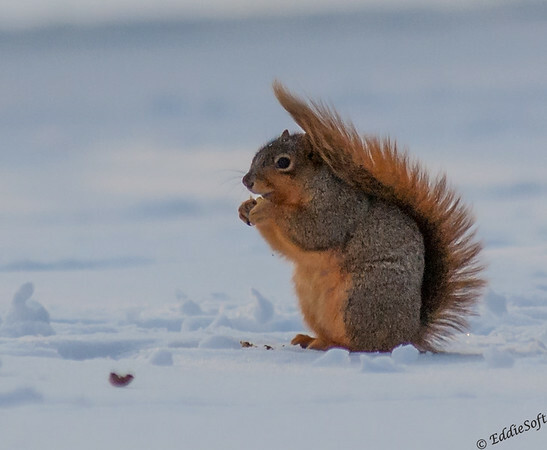 Over the years, I’ve had the pleasure of photographing a number of squirrels – like here and here. A lot of those were taken out west, but a few of those also featured the Eastern Fox Squirrel (at least this is what I think this specimen is). However, this little gal (again, a logical guess) was quite animated upon discovering the big glass of The Beast pointed directly at it. It suddenly became very possessive of its recently discovered acorn. 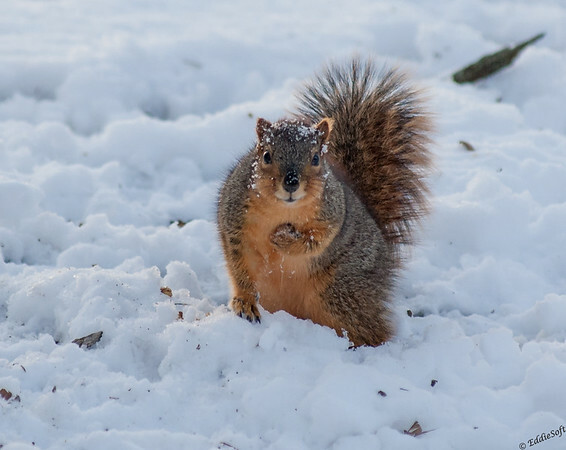 Hit the jump to see what kind of attitude Mr. Squirrel brings today. 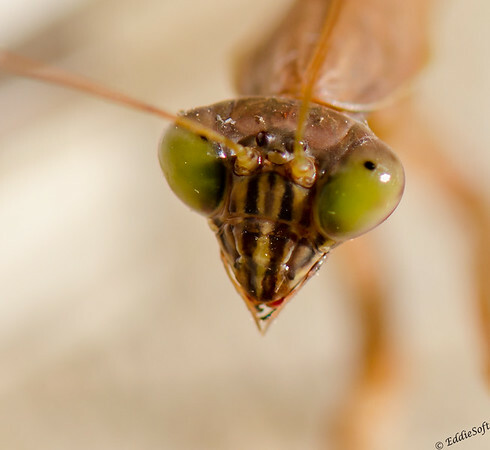 I know for a fact that Ron is not fond of the Praying Mantis based on his decision to wait an extra month to turn the page on our EddieSoft Gallery calendar so he could skip looking at the one we selected for our annual product. 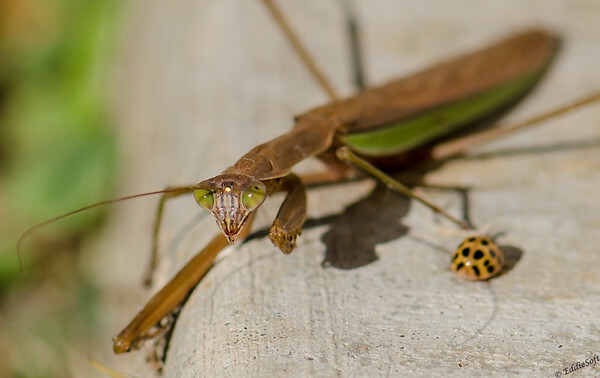 You can view the previous featured post on the Mantis back in Sept 2010 (link here). Hoping that after viewing this new set he might be in enough trauma that he will prefer to stay inside rather than risk a personal encounter – ha. Hit the jump to see a few more creepy pictures!